This is the time of year I start planning my escape. I’m sitting here, watching the Vicar of Dibley – because that’s what I do when I’m feeling not-wanting-to-be-hereish, I watch British TV, usually Sherlock but I’ve just finished my 4th re-viewing so I felt it was time for a switch – and mulling over my (lack of) options for living somewhere that doesn’t make me want to off myself 3-4 months out of the year. Of course, I realize that I’m nuts. Don’t think I don’t realize THAT by now! Let’s review the facts, shall we? At age of ten, ruthlessly uprooted from southern soil and forced to move to the wilds of St. Cloud, MN. Stupid academic job market. Middle school-High School years spent in central MN with brief exception of semester in Salzburg. College years also spent in central MN (thank you, tuition remission for faculty brats!) with brief exception of semester in London and summers in Michigan or New York. Graduate from college and high-tail it out of state for grad school, first to Columbus, OH, and then to Santa Barbara, CA. Get first real job offer from alma mater, move back to central MN. Meet future husband, fall in love, get married, move to Minneapolis, have kids, quit job, etc., etc., the rest is history. So as you can see, even with the most generous accounting, I’ve spent about 25 of my 41 years here in this godforsaken tundra-like misbegotten land of ten-thousand lakes. You’d think I’d be used to it by now. It’s not that I can’t see any good things about my current place of residing. On the contrary, Minneapolis is, objectively speaking, an amazing city. The parks system; museums, theatre and music; excellent public education; a vibrant lefty-political scene; world-class restaurants – I could go on for ages about what a great town this is. I could write a brochure. I could give a goddamn extemporaneous persuasive forensic speech on the topic. And that’s not even getting into all the truly, truly wonderful people we know here – theatre friends and mama friends, family friends and work friends, incredible people who have sustained us and supported us and laughed with us … and at us, which is all too often appropriate. Friends like you think don’t exist outside of fiction, I mean, really, really, crazy awesome friends that it would tear me apart to leave. Some of whom are more recent transplants from the south than I am, who have nevertheless wholeheartedly embraced their new habitat, and even refer to themselves as “midwesterners.” Which is something I have never been able to bring myself to do. It’s actually terribly frustrating, living in a place which, on paper, should absolutely be a perfect fit and yet, somehow … isn’t. Particularly when the people you love most in this world are perfectly happy to be here. And might, reasonably, resent being asked to move elsewhere just as much as, say, your ten-year-old self did. And even more particularly when it’s so difficult to articulate why it feels so not-home all the time. I mean, look, a qualified psychotherapist could probably find all kinds of explanations in my personal mental and emotional background, and don’t think it hasn’t come up in various sessions over the years, but none of that speaks to how it feels on a daily basis to be … not home. As I said to my sister over the holidays, the plants are all wrong. And things don’t grow at the right times. And the out-of-doors doesn’t smell the way it should. And the earth is too flat and the sky is too big and the sun shines too much. It’s irrational in the extreme: humans are, after all, adaptable creatures, and I’ve surely had more than enough time to adapt to being Minnesotan. And there have been moments when I’ve convinced myself that I’m getting there … but all it takes is a brief visit south of the Mason-Dixon line, along with the glorious sensation of a nameless, faceless weight lifting off my shoulders, to know that I’ve just been kidding myself. Of course, it doesn’t help that I feel like the entire state is trying to KILL ME during the months of January and February. I’ve been told I should invest in one of those daylight-mimicking lamps for people with SAD. Probably I should get one sometime, only I’m not convinced it would actually do me much good. I mean, honestly, it’s not the lack of daylight that gets me down; it’s the lack of TEMPERATURE. I find the sun’s presence frankly offensive when it’s below freezing outside, so I don’t see where fake sunlight is going to help any. What would help is rain. 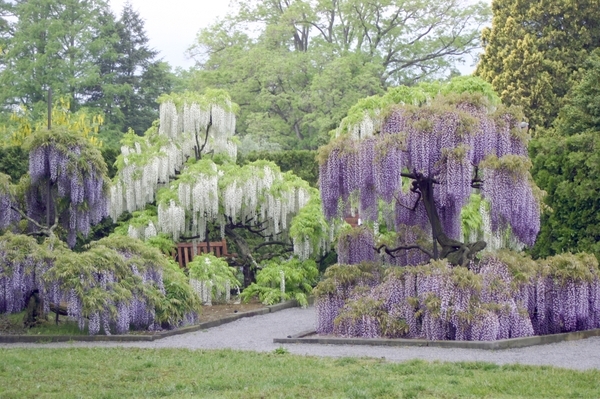 And wisteria. And real magnolias, not the silly kind they have here. And mimosa trees. And people who use “ma’am” and “sir” un-ironically. And grits on every breakfast menu. And … oh, forget it. And Things That Aren’t Here. I don’t have seasonal affective disorder, I have geographical affective disorder. I have GAD. As in, oh for GADssake shuddup about it already. It’s not as though I really have the option to be elsewhere. I mean, short of the husband being head-hunted for a dream design job in Atlanta, or me finding a tenure-track position at UNC that only requires a Master’s degree and pays over $80k per annum (HAHAHAHAHAhahahaha … hoo, boy, sometimes I slay myself) or the ever-popular winning lottery ticket scenario, I’m stuck here for the foreseeable future. And eventually it will thaw, and I’ll be less desperate. Plus I’d miss all my stupid awesome friends if we moved anyway. So I’ll watch my BBC programs, and read my escapist fiction, and do the occasional aimless search for jobs in warmer climes (Virgina, North Carolina, north Georgia, the UK, Ireland … you know, like that.) And the dude will abide for another winter. But one of these days, Alice, I am gonna be BANG! ZOOM! outta here. And if I’m lucky, the next place will feel like home. This entry was posted in Domesticity, Random Observations. Bookmark the permalink. I know perzackly how you feel. This is the saddest thing I ever read. I guffawed loudly all the way through it. Oh, Elise. I am right here with you, girl. I think it’s a Southern thing. I think the South somehow gets into your blood a little more than other places. And you’re right, the sky doesn’t look right and things don’t bloom at the right time and…dammit…there is nowhere to get really GOOD biscuits and gravy. Every time Ruanita and I go home (or head anywhere south of the Mason Dixon line), we have a serious discussion about moving there. We spend weeks looking at houses in Louisville or jobs in Nashville or tiny oceanside cottages in North Carolina. This summer, we even went so far as to email all of our friends in Louisville to get info on neighborhoods and schools. It takes us a good two months to really “get over it” after we take a trip south. I suspect one day we will end up there, but for now, we can’t get past all of the fabulous things about Minneapolis that you list. When you are a lefty with kids, Minneapolis is pretty much ideal. Whether we like it or not! Grrrrrr.